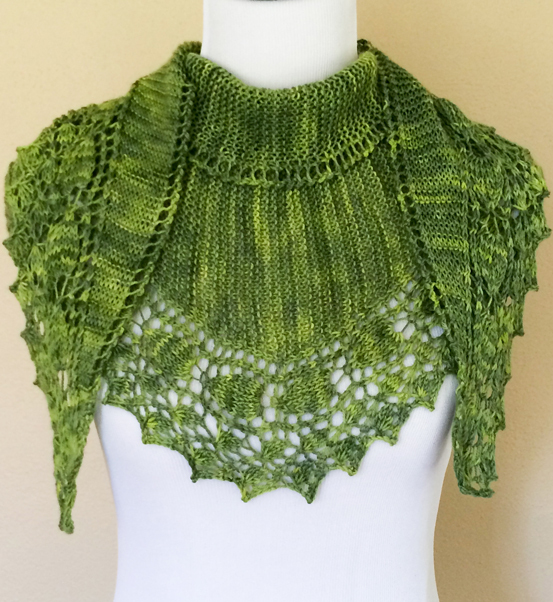 Pesto is a garter stitch shawl with lace border knit in one piece from end to end. It can be knit with one skein of sock yarn. The size of the shawl can be customized depending on the amount of yarn you have so it is the perfect pattern for making the most of a special skein of yarn! Instructions on how to do this are included. 21 sts and 44 rows/4 inches in garter stitch (unblocked). 19 sts and 30 rows/4 inches in garter stitch (blocked). Gauge is not crucial since this is not a fitted garment but changes in gauge can affect both the size of the shawl and the amount of yarn required to complete it.